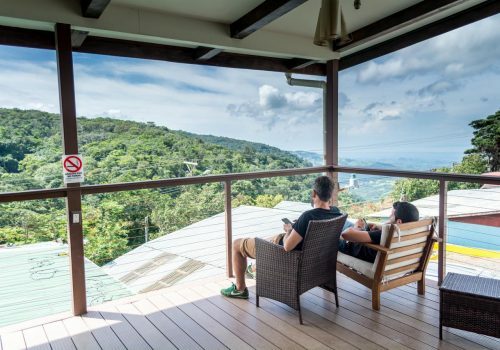 Costa Rica offers a wide variety of hotels and hostels to suit all types of backpackers, travelers, and budget. If we can, we always choose smaller boutique hotels for their personal touch, intimate and relaxed atmosphere and attention to detail. These are the places that make our travels memorable and which makes us feel at home. If you are planning a trip to San Jose, Puerto Viejo, Manuel Antonio, Fortuna, Monteverde or Tamarindo in Costa Rica? 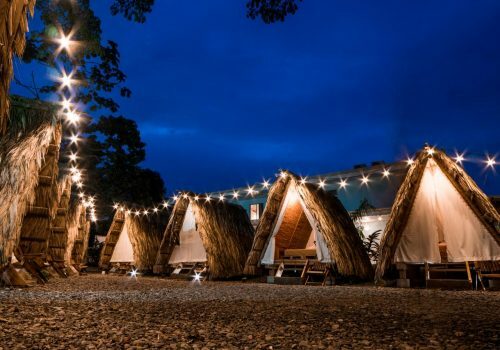 Read on for our favorite places to stay in this beautiful country. 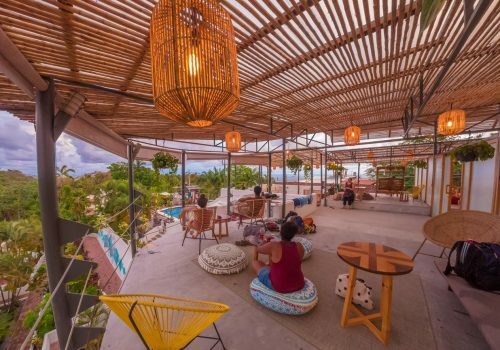 Selina San Jose is a great hostel for digital nomads. 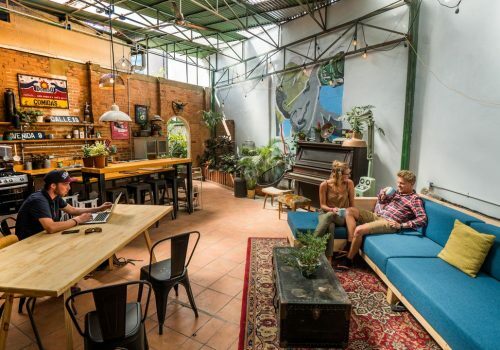 Offers a co-working space, free Wi-Fi, a shared kitchen and has a wide range of dorms and private rooms. Take a break in the funky common areas or laze in a hammock. 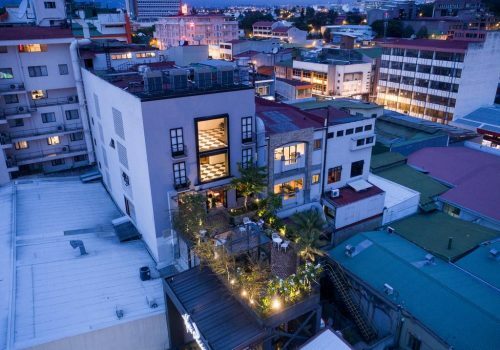 Located in Barrio Otoya, one of the oldest and most vibrant neighborhoods in the city. A great choice! Hotel Presidente San Jose Center is located in the heart of San José, close to the National Theatre and only a few minutes drive from the airport. The hotel offers free breakfast, a gym and many other services. There are computer terminals for guests and free Wi-Fi, so a good spot for digital influencers. A great hostel, situated close to town, the beaches and Foundation Jaguar Rescue Center. Selina Puerto Viejo offers shared dorms, teepees, deluxe rooms or suites for every budget. It has a lovely swimming pool, an on-site restaurant, and a shared kitchen. A beautiful B&B in the heart of Puerto Viejo situated 2 blocks from the beach and town. 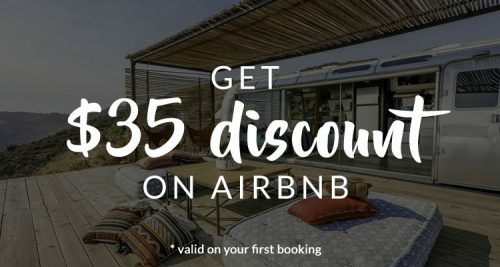 The rooms are spacious with a private courtyard, there is a pool, Wi-fi, shared kitchen, organic amenities, and they are offering a delicious breakfast. Jody, the owner of Sueno Grande B&B, was extremely friendly and helpful and made us feel at home. We definitely come back another time! Selina Manuel Antonio is very similar to a resort. With a superb location between the beaches, town and the National Park. With a bus stop right before the hostel, this one is a great choice for staying in this area. 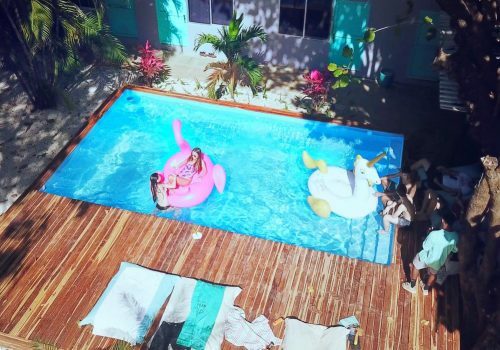 It has two swimming pools, a great restaurant and bar and a beautiful yoga deck with a 360° view of the jungle. Like the other Selina hostels, you can stay here in dorms, standard or deluxe rooms. 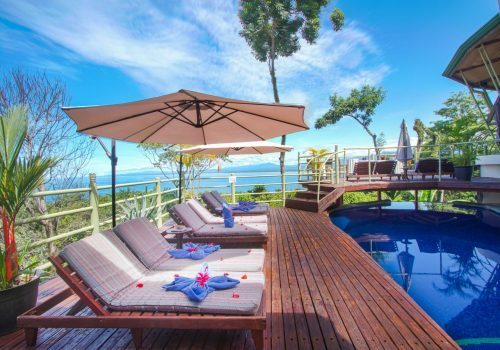 A small, upscale property for a romantic stay in Manuel Antonio. All of the rooms are suites and include a jacuzzi. Issimo Suites has a wonderful outdoor swimming pool and a restaurant, free Wi-Fi access, and free private parking. If you like ocean views, this is the place to be! By far one of our most favorite Selina hostels in Costa Rica! A beautiful scenery, amazingly friendly staff, a cozy lounge area with a shared kitchen and a restaurant/bar offering delicious food and drinks. With a location in the middle of town near to Arenal Volcano and the hot springs, Selina La Fortuna is a real gem. 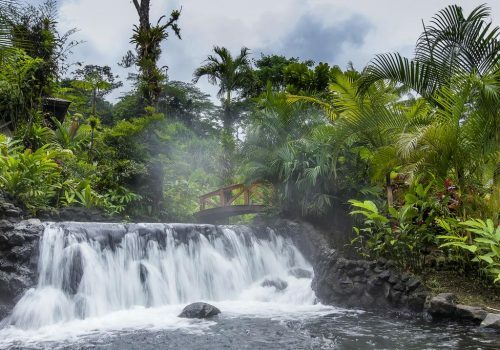 Only a 15-minute drive from the main entrance of Arenal Volcano National park, Tabacón Thermal Resort & Spa offers nice rooms surrounded by Costa Rica’s jungle and the famous Tabacón thermal baths. The resort has offers 5 pools, a swim-up bar, spa treatments, activities and the best food, even vegan and gluten-free. 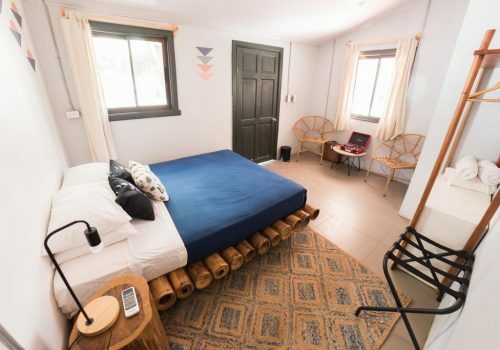 A comfortable, cozy, and family managed B&B with a 5-minute walk to downtown Santa Elena with all restaurants and stores. 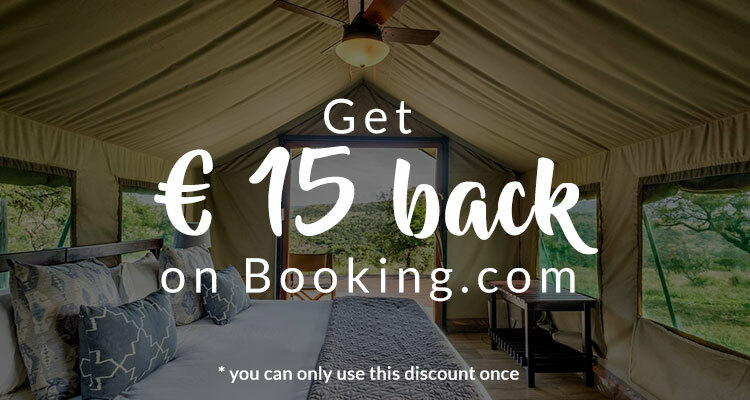 Camino Verde B&B has a super very friendly and helpful staff offering plenty of advice and organizing tours and transportation at no extra cost. You enjoy a daily delicious free breakfast and the beautiful Monteverde view from the patio are incredible. 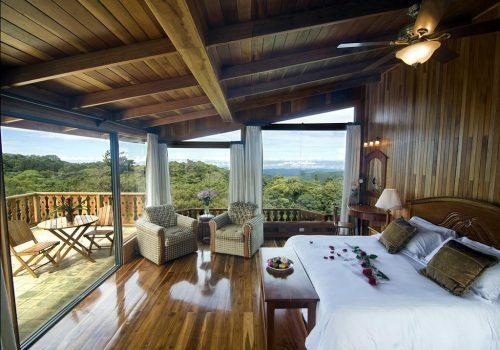 The beautiful wooden decorated rooms are overlooking the Monteverde forest. Hotel Belmar is located just outside Santa Elena town and offers a hot tube, an organic garden and plenty of activities in the surrounding area. There is also a wellness center and free yoga classes. With their surf camps and lessons, La Oveja Negra is a great choice for surfers! The location is excellent, one block from the beach and right in the heart of the town with restaurants and bars within walking distance. The rooms are large and it has a pool with a sun deck. 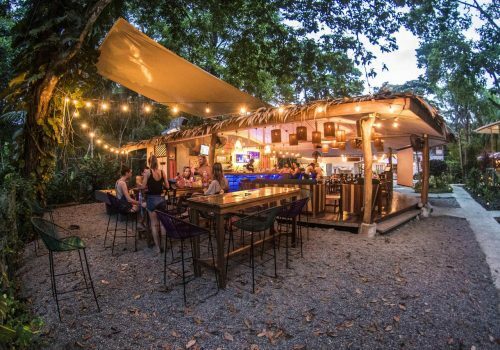 If you are in Tamarindo to meet new people and you like some nightlife, this is the place to be. Daily activities as morning yoga, salsa lessons & surfing classes are offered by beautiful Selina Tamarindo. 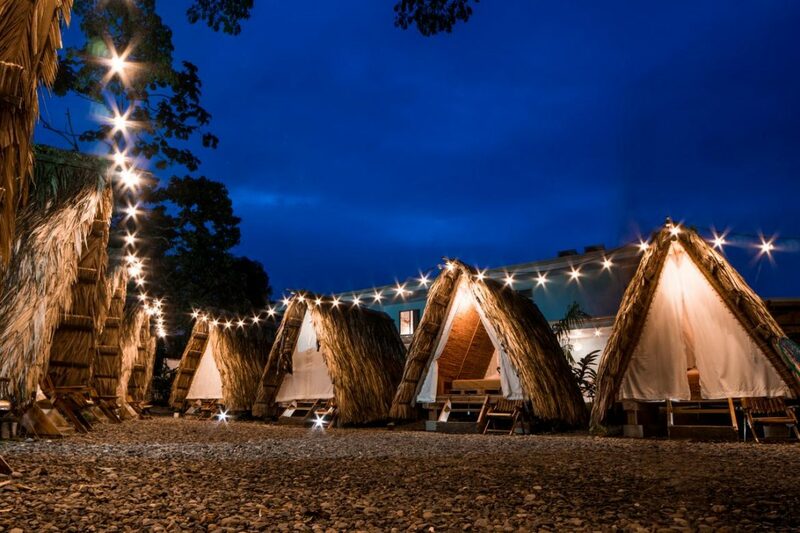 There is a swimming pool, a shared kitchen and live music or DJ sets at the weekends. 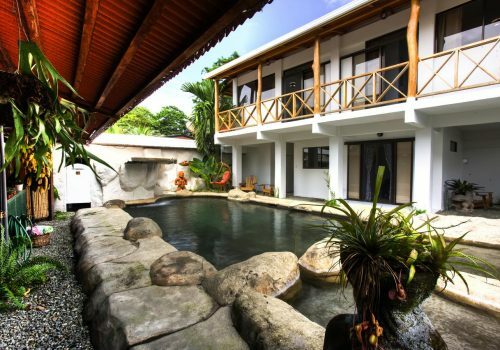 The accommodation is located just 2 streets from the center of Tamarindo.